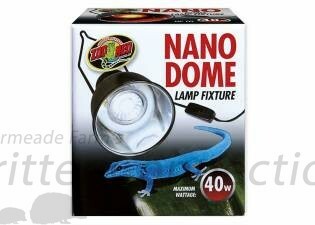 Small lamp fixture for nano-sized terrariums (10 Gallon or smaller). For use ONLY with Zoo Med's Nano heating and lighting products (lamps not included). Holds up to 40 watts.